Our charity is built on the expertise and dedication of our wide range of outstanding individuals. They bring with them a wealth of knowledge, business acumen and passion for our charity. Barbara created The Hospice Biographers in 2017. She recorded her very first audio biography when she was much younger and learned that her own father was terminally ill. She postponed her career as a reporter, "borrowed" a BBC recorder and set about recording his entire life story on audio. After his premature death Barbara embarked on a full career in TV creating shows such as Trust Me I'm a Doctor and Pet Rescue. She co-founded the independent TV company Flame TV with broadcaster Roger Bolton. Together they created long running BBC TV hits such as Heir Hunters, Saints & Scroungers, Don't Get Done Get Dom and You've Been Scammed. Steve is an energetic and passionate supporter of our charity and it was thanks to him that we were able to launch our first training pilot at his hospice back in May 2017. Steve is a determined , persuasive and charismatic character as evidenced by his career. He started life as a Coal Miner, later joined the Royal Navy and soon rose to the rank of Captain. Today he's CEO of one of the most successful and influential hospices in the UK. Sunil Sheth brings his considerable legal expertise, valuable contacts and first-hand knowledge of charities to the benefit of The Hospice Biographers. He is a law partner with the prestigious commercial law firm Fladgate LLP of Holborn. Fladgate is an international law firm serving a wide range of corporate, institutional and private clients. Sunil is also founder and former chairman of the Society of Asian Lawyers in the UK. Sunil’s experience of charities is impressive and diverse. He is Chair of Sense International, a UK charity assisting people with the double disability of being deaf and blind. His other appointments include being a Trustee of One World Media, a UK charity assisting media in the developing world to promote issues including education, good governance and human rights, and he is also on the Advisory Board of the Law School of the University of West London. His smart insights and grounded wisdom bring much to our charity. Claire Cater brings 20 years of expertise in patient engagement, healthcare and communications to The Hospice Biographers in addition to her valuable contacts from the world of philanthropy and national grant providers. She is an expert in patient and stakeholder engagement. In 2013 she was a member of the Patient Engagement forum for the World Innovation Summit, co-authoring a report on how best to engage patients in their health and care that was supported by leaders representing more than 60 countries. She was also behind the creation of the worlds largest healthcare social movement NHS Change Day and was responsible for the management of the public apology to the thousands of child migrants sent to Australia, Canada and South Africa. 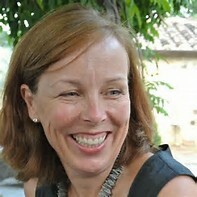 She works as an advisor to government and leaders in the NHS and global corporations such as Microsoft and RBS Coutts. She has supported fund raising efforts for charities such as Cancer Research UK and worked on awareness raising and change programs with the likes of The Gates Foundation and The World Health Organisation. She is currently on the Management Board of Women of The Year. Having lost her son in 2005, followed soon after by her parents and brother in law, Claire is passionate about the importance of recording the voices and life stories of loved ones. Lorraine is in charge of our specialist training programme, a tough job given that we hope to train some 400 journalists across the country over the next five years to become our official team of Hospice Biographers. 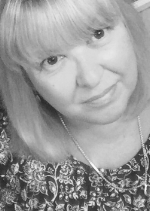 Lorraine has 26 years’ experience of working in the education and training of young people and adults, which include 17 years of education management in three Further Education colleges in London/South of England. Lorraine has extensive experience in safeguarding of children and vulnerable adults; projects she has managed include the design and opening of a centre for young adults with autism and designing courses to educate/integrate asylum seekers and refugees. Under Lorraine’s supervision our charity is currently recruiting trainers with the relevant qualifications and experience who will uphold the values of our charity and provide a high quality training experience. 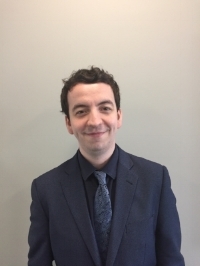 Adam ensures the confidentiality, integrity and availability of patients' audio biographies and all the other information controlled by the charity. His focus is on implementing processes, procedures and oversight of the way interviews are recorded, shared, stored and processed. Utilising secure storage systems implemented by Adam, we ensure audio biographies are stored appropriately and are available to share with patients' families upon request. Adam is a first class communicator and problem solver, and has extensive industry experience in building and running highly available secure information systems. David Smith - Is an economist and founding director of Triple Line Consulting ltd, a consultancy company specialised in the design and evaluation of programmes to support development and poverty reduction in poor countries. David has worked in 15 African countries as well as Bangladesh, Cambodia, Laos, Afghanistan and Papua New Guinea. Triple Line’s work was mainly from competitive tenders from clients including the World Bank, European Commission, Bill and Melinda Gates Foundation, Shell Foundation, MasterCard Foundation, Aga Khan Fund and the UK Government (DFID). Triple Line was established in 1999 and grew to a team of 28 staff when it was acquired by IPE Global in 2014, a development consultancy based in Delhi. David was Executive Director of IPE Global Africa until 2017 and was tasked with providing strategic leadership and overseeing operational management for the offices in Nairobi and Addis Ababa. David is a specialist in monitoring and evaluation and designing programmes to stimulate access to finance and markets in poor countries including adaptation to climate change. David was general manager of the Coffee Industry Cooperation in Papua New Guinea (1990-3) and an economist with the National Farmers Union in London (1981-1990). David has an MBA from City University Business School (CASS) and an MSc in Agricultural Economics from Oxford University. Nicola is CEO of The Ibison Talent Group, an executive search company for senior creative and leadership roles within the media and news industry. Until 2015, Nicola was a Director at the global talent management organization, James Grant, where she headed up the Factual, Sports Media and Current affairs divisions. She strategized the careers of some of the UK’s biggest TV names, including The Hairy Bikers, Clare Balding, Eamonn Holmes and Gabby Logan. Nicola’s background is in journalism and TV production. She started her career in the world of weekly newspapers, treading the beat, knocking on doors and doing her research in the library, in the days pre-Google. After winning a scholarship to study for her Masters’ Degree in Broadcast Journalism at the prestigious Northwestern University, in Chicago, Nicola did a brief (and forgettable) stint as an on-screen reporter in Washington DC, before coming home to the UK and working on the newsdesks of Central TV, ITN and then becoming Senior Producer at breakfast channel, GMTV. Nicola is a Non-Executive Director for two production companies, the award-winning factual company Tiger Lily Productions and the entertainment formats company, Hello Donkey. She is also a weekly volunteer at her local hospice and she is a Trustee of The Hospice Biographers charity. Nicola is a proud mother to her daughter, Georgie. John Barton has 20 years of commercial experience in the Financial Services sector focussed on running large programmes for clients in the UK, Switzerland and Hong Kong. A qualified Financial Risk Manager he brings a wealth of exposure to managing large budgets and complex programmes to our Charity. In addition to this his personal experience of commercial retail property and start up businesses will add additional value to the Charity as we grow. Dr Taylor began her career as a GP in Cambridgeshire and Cumbria, and went on to lead an innovative palliative in-patient unit in West Cumbria Hospital. In 1977 she became Director at the Hospice of St Francis where her achievements included leading a successful £6m project to rebuild the hospice on a new site, transforming day-care services into a well-being and early intervention service, and more recently promoting a vital partnership with the local hospital to foster a new culture in end of life care at ward level. Today she’s Clinical Director of Hospice UK, a charity that advocates and supports Britain’s network of hospice centres of excellence. Her inside knowledge and contacts within the hospice movement across Britain are invaluable to our charity. And on a personal level, Dr Taylor's dynamic, positive and professional approach benefits our work hugely. In the care industry for 30 years specialising in frail elderly care, dementia, end of life and palliative care. 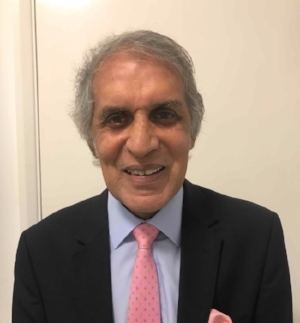 Former surgeon Dr Jamsheed Khan's interest in elderly care began in 1986 when alongside his wife Jessie, he became owner of two care homes in Essex. 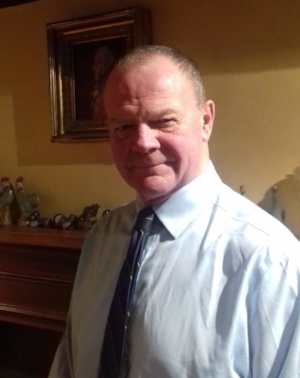 He was Chairman of the Havering Care Association for over twenty years and during this period set up a professional "Gold Standard " quality of care for other care homes in the region to follow. He was recently awarded the Mayors award for meritorious services to the community. 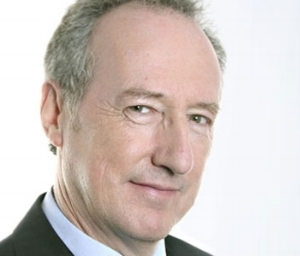 Roger is know as the Father of Journalism and presenter of Radio 4’s Feedback series. He founded the independent TV company Flame TV together with Barbara Altounyan the Founder of The Hospice Biographers. Claire Henry is the Director of Hospice UK. Previously she was Chief Executive for The National Council for Palliative Care & Dying Matters. Prior to this role, Claire was Head of Programmes for Long Term Conditions and End of Life Care at NHS Improving Quality. Other roles have included National Director for the NHS End of Life Care Programme supporting organisations to improve the quality of care for all adult patients nearing the end of life. She had a number of roles within the Cancer Services Collaborative ‘Improvement Partnership’ supporting cancer networks in the implementation of service redesign for cancer services. Claire’s background is in nursing. She trained at South Lincolnshire School of Nursing. After qualifying Claire worked predominately in cancer and palliative care. 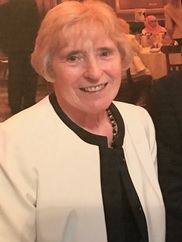 Baroness Finlay of Llandaff is an internationally renowned expert in palliative medicine and an independent cross-bench member of the House of Lords. Baroness Finlay was President of the British Medical Association 2014-15 and a past president of the Royal Society of Medicine. She was a general practitioner in inner-city Glasgow before returning to Cardiff to work full time in palliative medicine. She was the first consultant in Palliative Medicine in Wales in 1987, has developed palliative and hospice services across Wales and chaired the Palliative Care Strategy Implementation Board for Wales. She has also been an active independent crossbench peer in the House of Lords since her appointment in 2001. Phil is the former Editor of Today programme, Radio 4’s flagship current affairs programme. He now works as a consultant with media groups across the world on editorial leadership and strategy dealing with topics such as public broadcasting in the digital age, editorial standards and social media and public interest journalism in the modern media world. Charlie Marshall was born in Kent and served in the British army and Hong kong Police before returning to his Scottish roots. He has worked in the charity sector for the last twenty wears, specialising in research and bid writing. He is excited about the work of The Hospice Biographers, believing the concept to be inspirational and therapeutic for both patients and families alike. Charlie is a keen amateur historian and believes strongly in the power of oral history and its value for future generations.